The Women's Leadership Team of Grace Mills River exists to complement Session in connecting women of Grace as they grow in the gospel of grace. To encourage women in the use of individual gifts for the church body. To bridge communication between women of the church, Session and Grace ministries. To be a resource for women as they seek out ministry, education and discipleship opportunities. To foster connections between all women of the church through education, fellowship and intergenerational relationships. To complement Session in serving the women of Grace Mills River. We hold to the Grace values of being Biblical, Creative, Dependent, Honest, Hopeful, Generous, Grateful, and Interdependent. Women of all ages are invited to join “A Woman’s Heart,” Wednesdays at 6pm in the Grace Café. Led by Christy Lafferty and Mary Dean Beland, this is a time for younger and older women to gather together for Bible truths, fellowship and prayer. Mark your calendars and make plans to join us! (Childcare available upon request. Email ) For more details, contact Christy Lafferty at . Specific dates to serve in these areas will be posted in the bulletin, on the website calendar and on the Women of Grace Mills River Facebook page. Laura and her husband, Pat, have been attending Grace since they returned to Asheville in 2005. They became members and have been involved in volunteering in the Children’s Ministry. Laura and Pat have 3 children - Owen and Alex are actively involved in Watershed and Emma cannot wait until she is old enough to participate! Laura is excited about connecting with other women in the church. By being a part of the Women’s Leadership Team, she hopes to help other women find ways to connect in the church and grow in their walk with God. Laura enjoys reading, all sorts of crafts and sports – especially tennis. She is a coach to her son’s middle school tennis team. Susan and her daughter Sherry have been members of Grace since 1998. 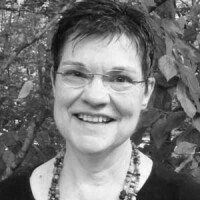 She believes that the reformed Gospel teaching at Grace has given her so many tools and inspiration to navigate the challenges of this life. She became a member of the Missions roundtable and part of the Stephens Ministry at Grace. Having a heart for older singles, Susan has revived the "Singles over 40" ministry at Grace twice (the current group meets on the 4th Sunday of each month for food and fellowship). 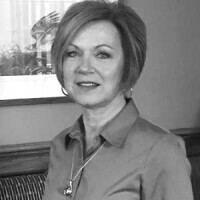 Susan is a retired Dental Hygienist and currently works in Home Health care. She loves the beauty of the mountains and . Her favorite place is the magazine section of Barnes and Nobles - reading about her favorite basketball team, the TARHEELS, with her favorite drink, coffee, of course !!! Barbara and her husband, Rick, moved to Asheville from Eastern NC 4 years ago and have been members at Grace for 3 years. Being in Asheville puts them closer to their 3 adult children, their spouses, and 7 grandchildren (in Asheville, Charlotte, and Abingdon, VA). When all 15 are together, it is pretty chaotic! Barbara enjoys being creative and is building her skills as an emerging potter. She is part of the teaching team of a women’s Bible study on Friday mornings. Look for Barbara at the Information Desk on 3rd Sunday – she loves meeting new people and welcoming them to Grace! Fran moved to this area with her daughter, Courtney Johnson, from Naples. She has been a member of Grace for nine years. She and her husband, Veech, were married two years ago and and currently serves as an Elder at Grace. Fran has a son, Barrett, incredible daughter-in-law, Ashlee and two grandchildren who live in Winston-Salem. She absolutely loves being this close to her family. Fran is a retired elementary school teacher who enjoyed her profession ever so much and now gets to experience retirement in this gorgeous area of the country. She and Veech have a great time hiking, going to plays at Flat Rock and exercise at the Y (where they see some Grace friends). She is thrilled to be a part of the Women’s Leadership Team where she can connect with other women and grow in the teaching of Christ together. 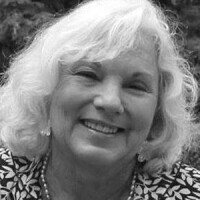 Gail has been a member of Grace since 2005. She has been active in Children’s Ministry, classes, Bible Studies and is currently serving on the Shepherding and the Women’s Leadership Teams. Gail is excited to see what God has instore for the women of Grace Mills River. Gail and her husband John are enjoying retirement in NC. They have a son and daughter-in-law (J and Kim) in NY, a daughter and son-in-law (Jen and Bryan) and two grandsons (Dalton and Landon) in SC. Gail volunteers and the Mills River Library and enjoys making and teaching card making. She and John are British car enthusiast and participate in driving tours and car shows whenever they can. 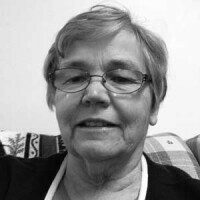 Lynn became a member of Grace in 2011, and joined the WLT as it was formed that year. She now serves as Secretary after rejoining the team in 2016. She and her husband, David, moved to these beautiful mountains from Miami, and are thoroughly enjoying retirement. They have 2 children and are blessed with 3 delightful grandboys. Welcoming, meeting and connecting people is a great joy; especially connecting women with opportunities for fellowship and ministry. I love multicultural and multigenerational outreach and worship and wish I had kept up Spanish lessons (or paid more attention in high school!). I appreciate that with each person comes a unique, interesting life story and believe that building personal relationships through common interests opens the door to share the Gospel. Julie and her husband, Brandon, have attended Grace for 18 years and became members in 2011. She has been involved in children's ministry, greeting, classes and weekly bible studies at Grace. Julie is mom to two boys (Jacob, 19 & Canaan 11). She enjoys watching them playing sports and doing drama and choir with their school. Julie also volunteers her time promoting organ donation awareness and kidney disease research and also serves on the Board at Asheville Christian Academy.